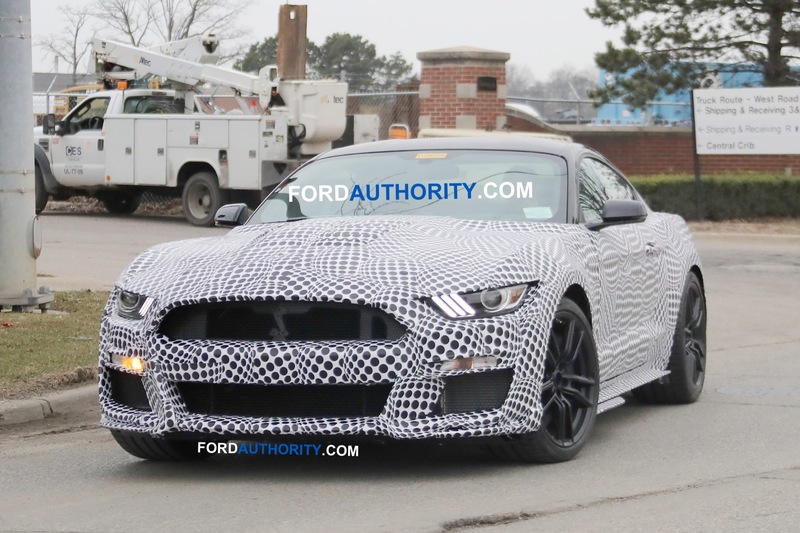 The Ford Mustang Shelby GT500 is expected to launch in the 2019 calendar year as a 2020 model, thereby becoming the range-topping model of the Mustang lineup. Following is speculative and unconfirmed information about the 2020 Ford Mustang Shelby GT500. 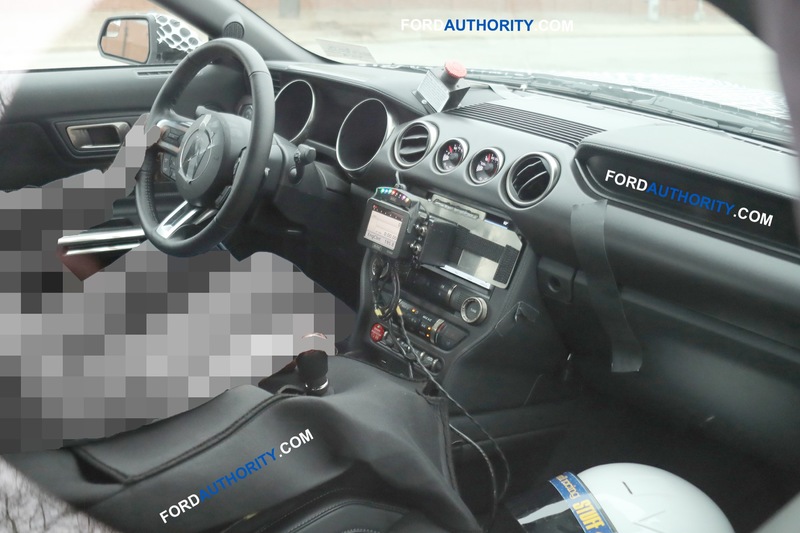 This page is a continuous work-in-progress and will be updated on a regular basis as we await official details from Ford. 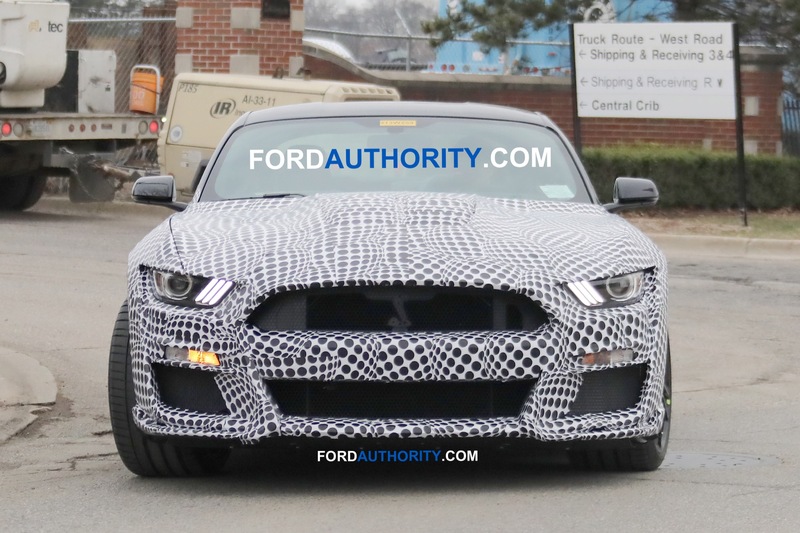 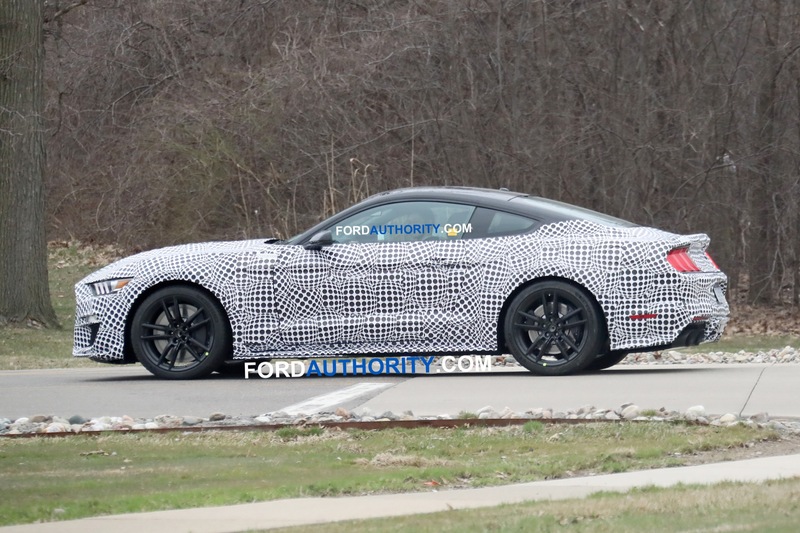 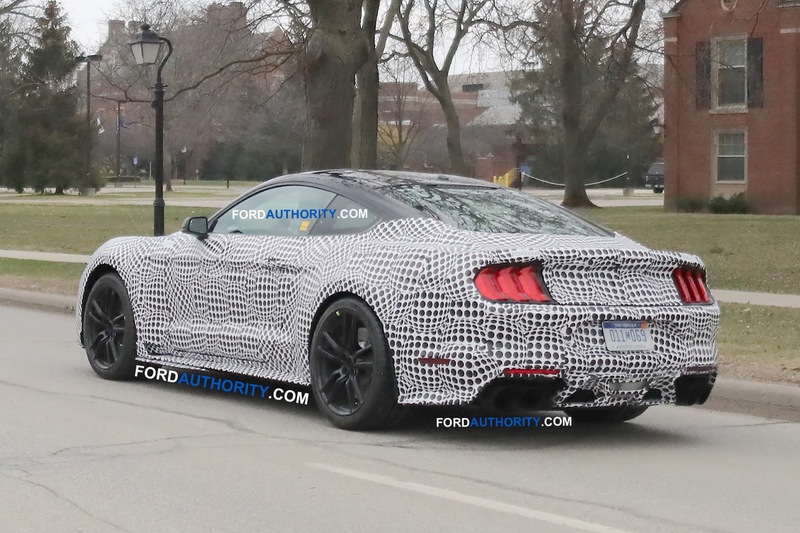 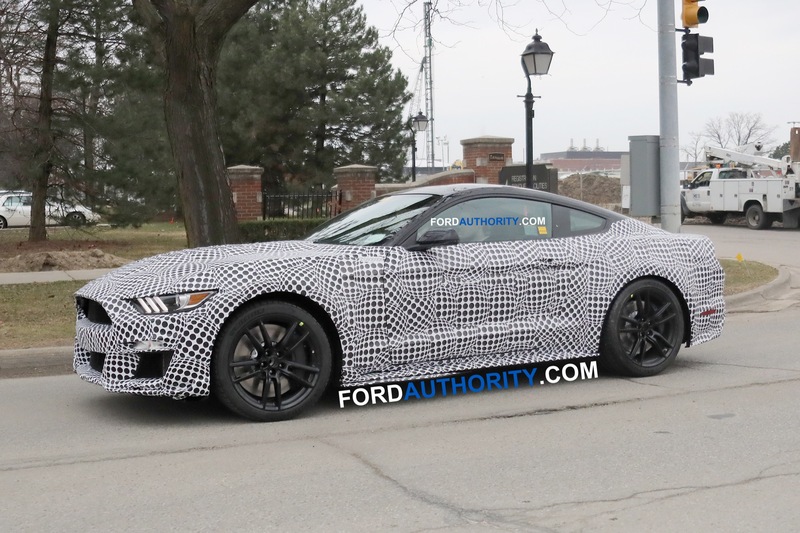 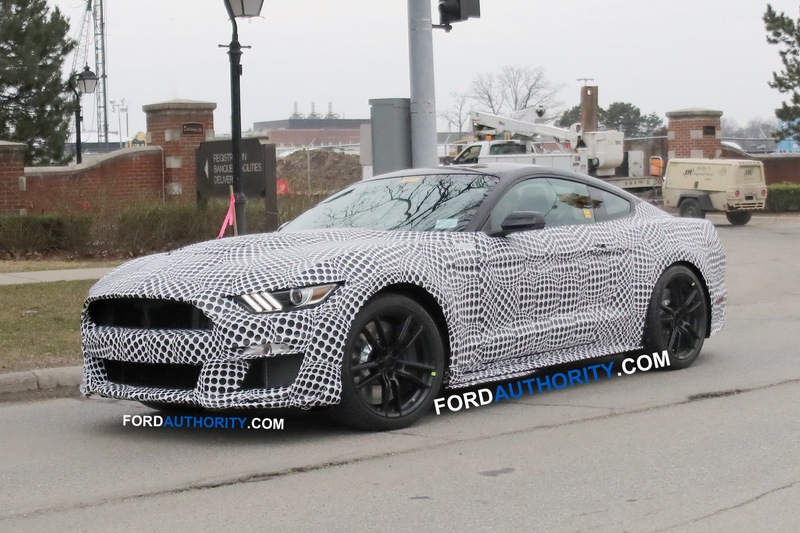 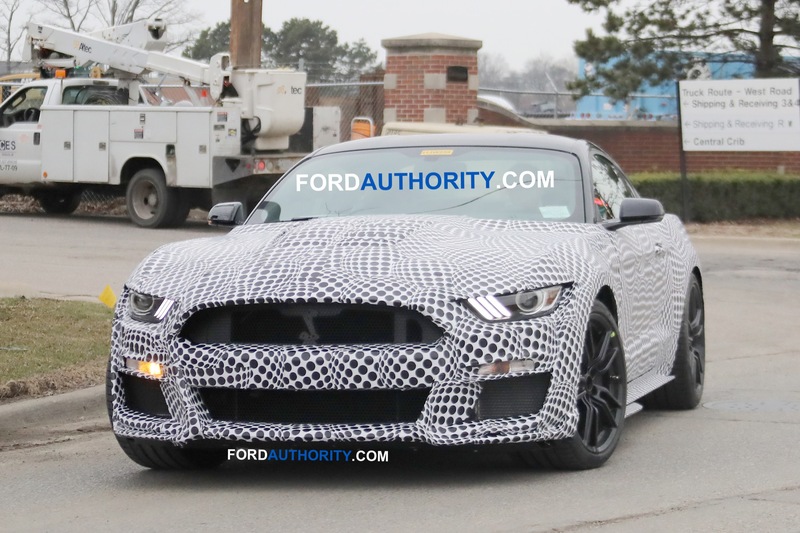 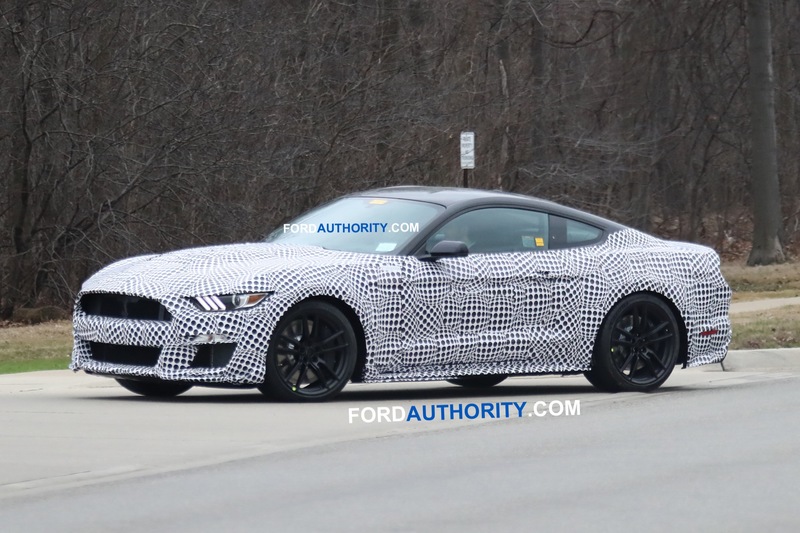 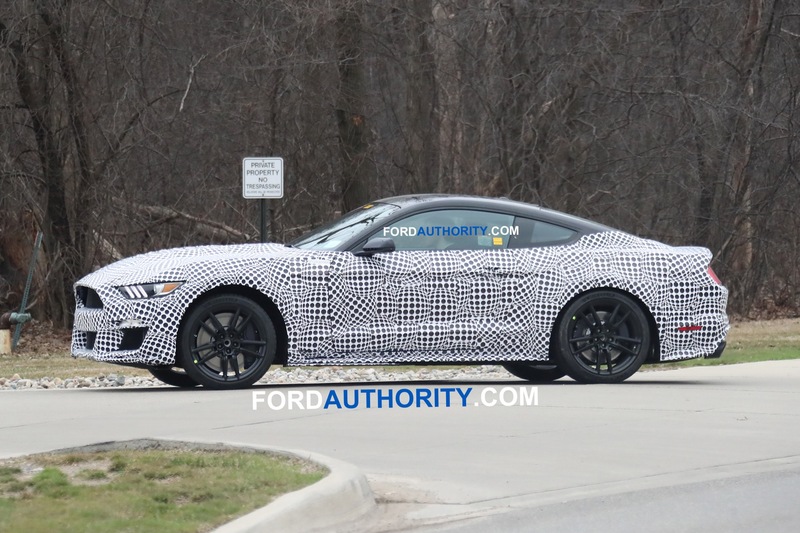 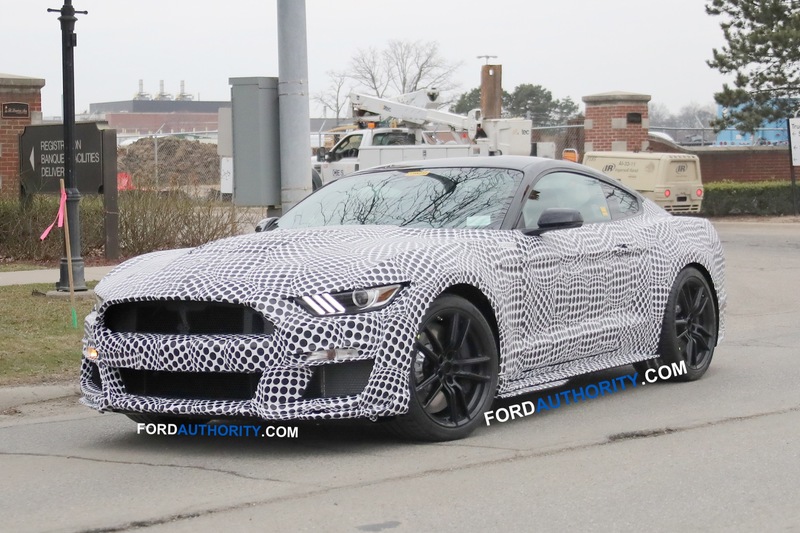 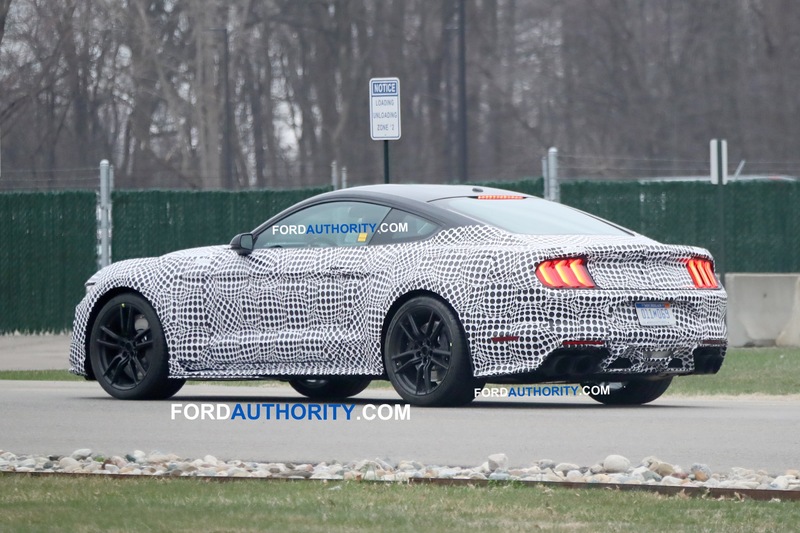 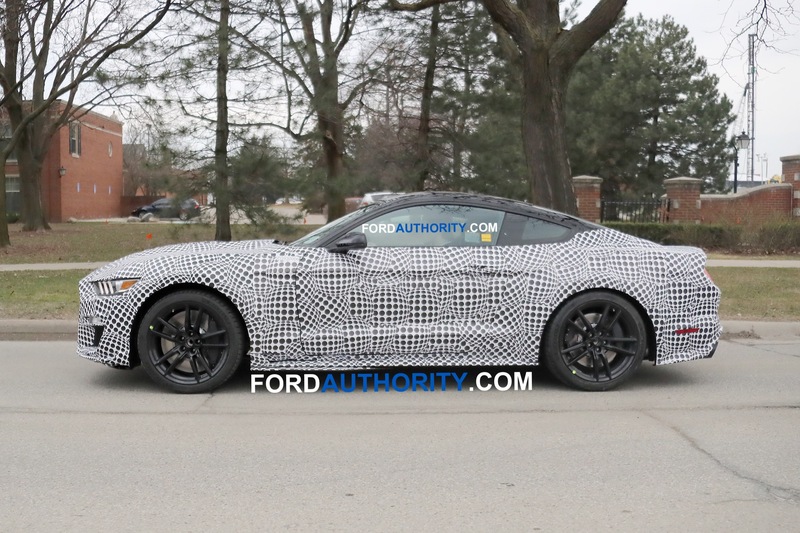 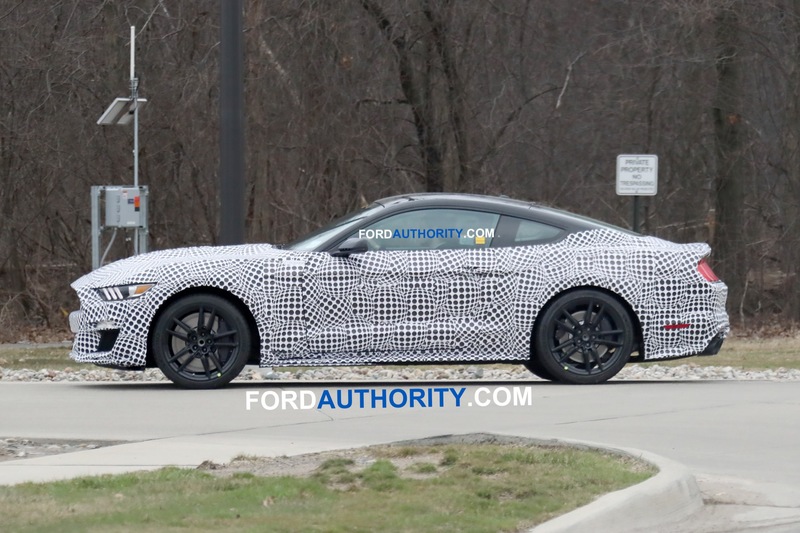 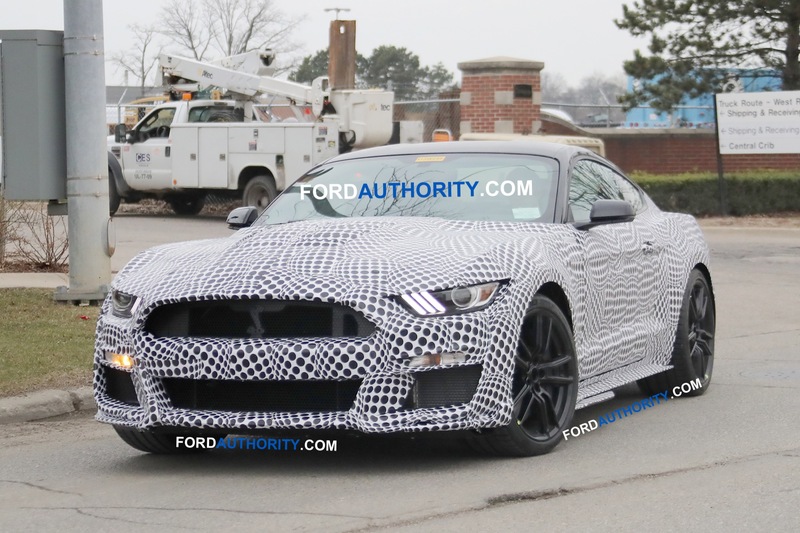 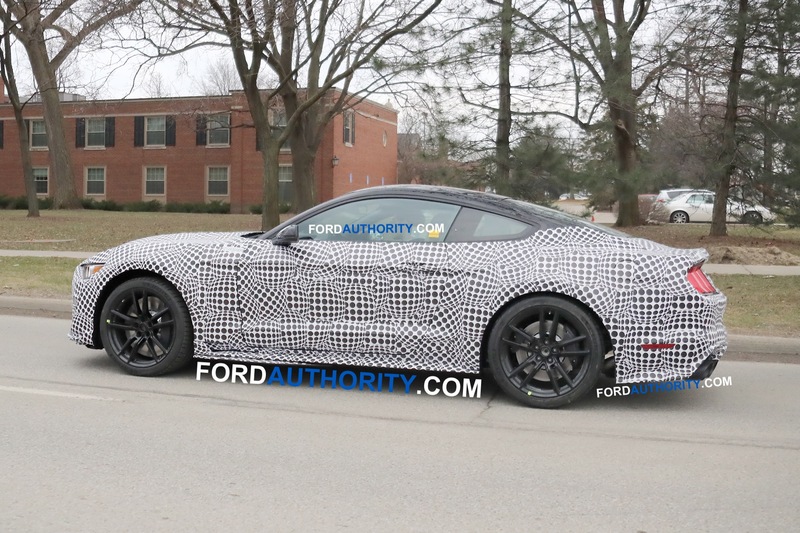 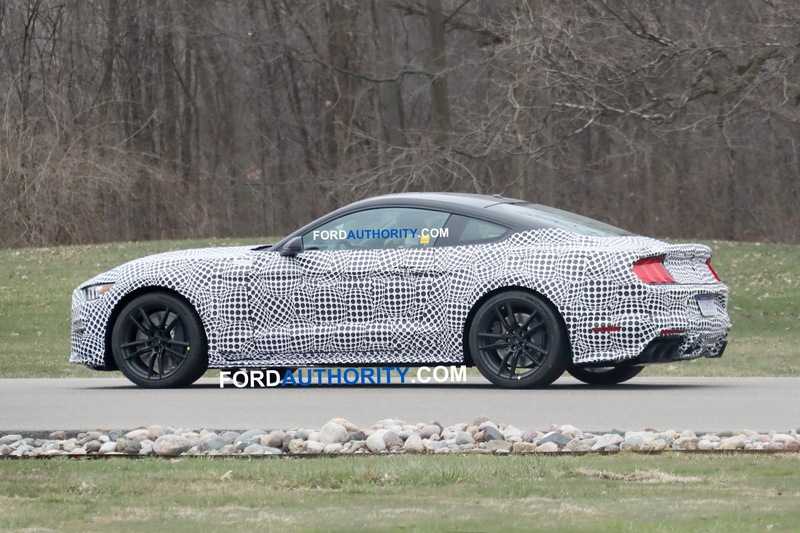 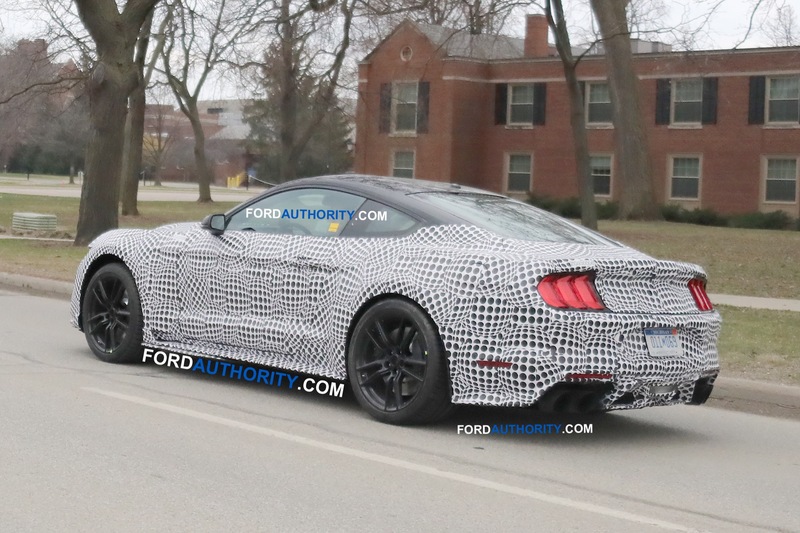 The 2020 Ford Mustang will likely only be offered as a two-door hardtop coupe. 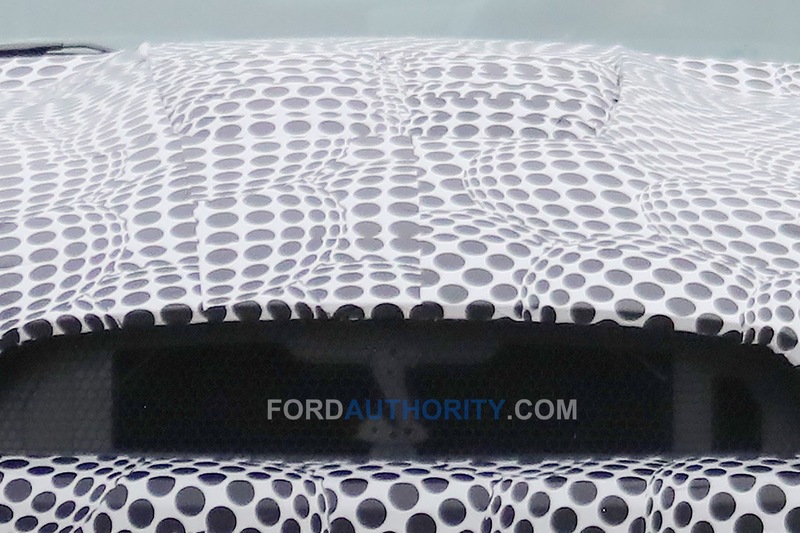 A two-door soft top convertible body style is unlikely. 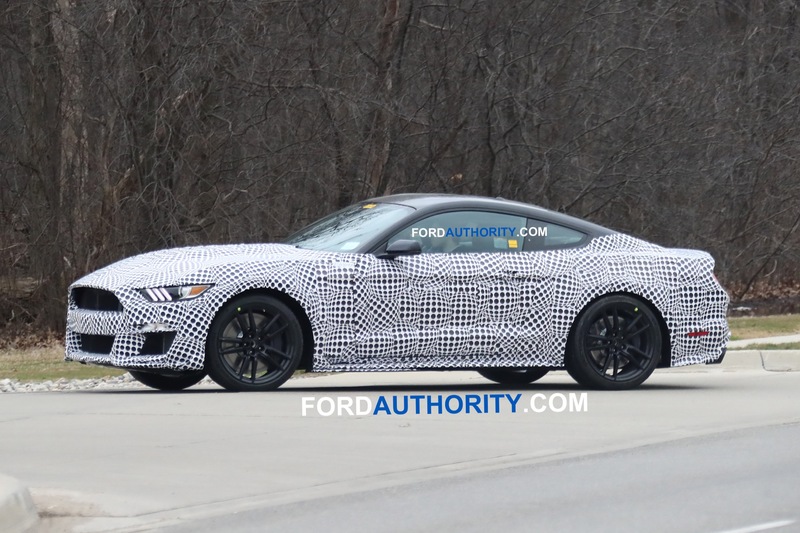 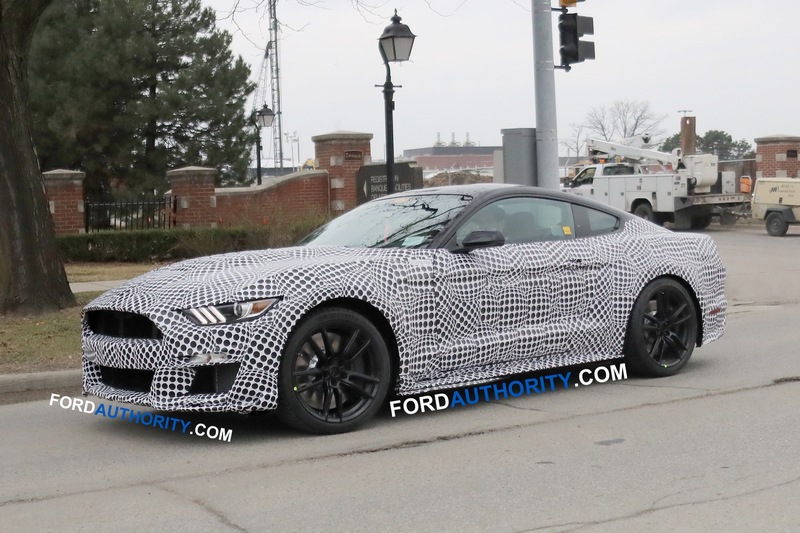 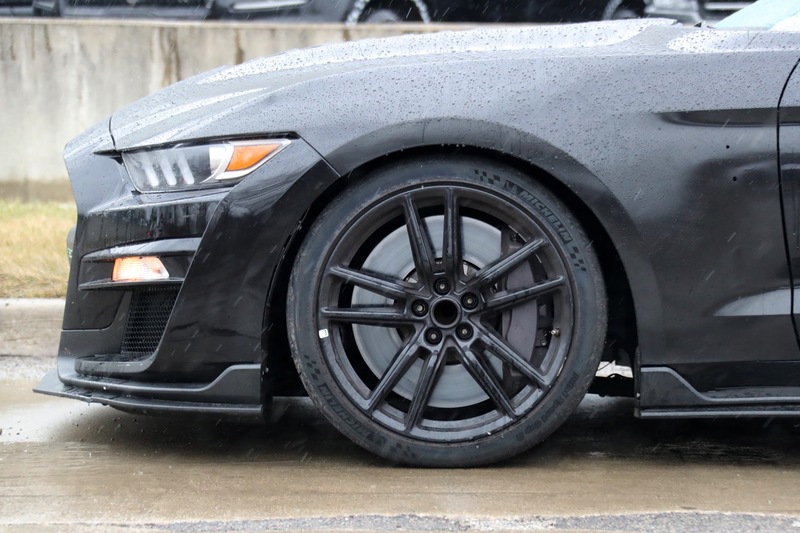 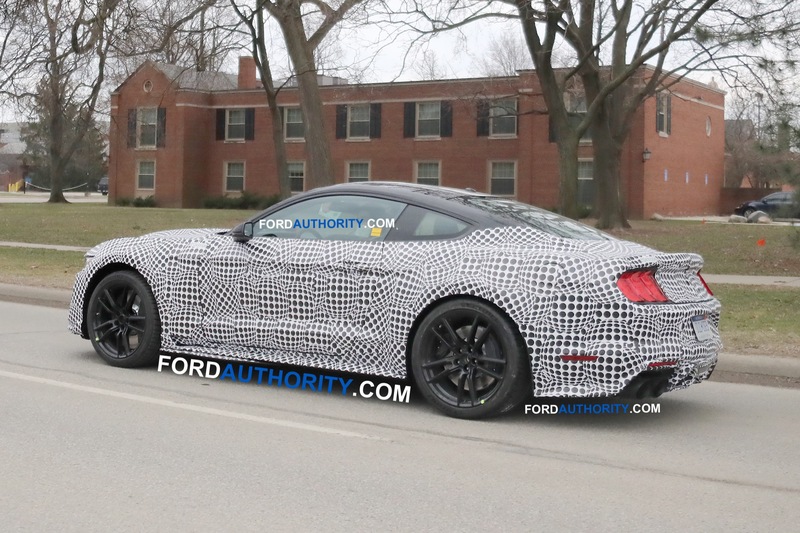 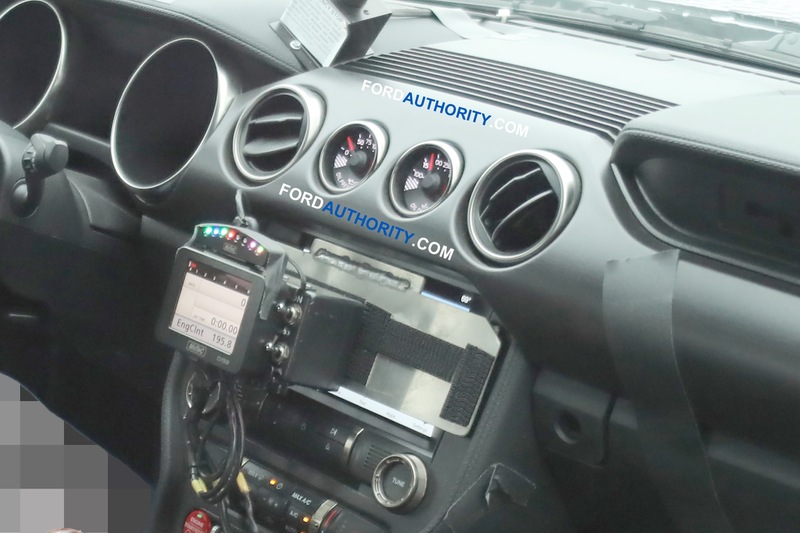 Like all sixth-generation units of the Ford Mustang, the 2020 Mustang Shelby G500 will ride on the Ford S550 platform. 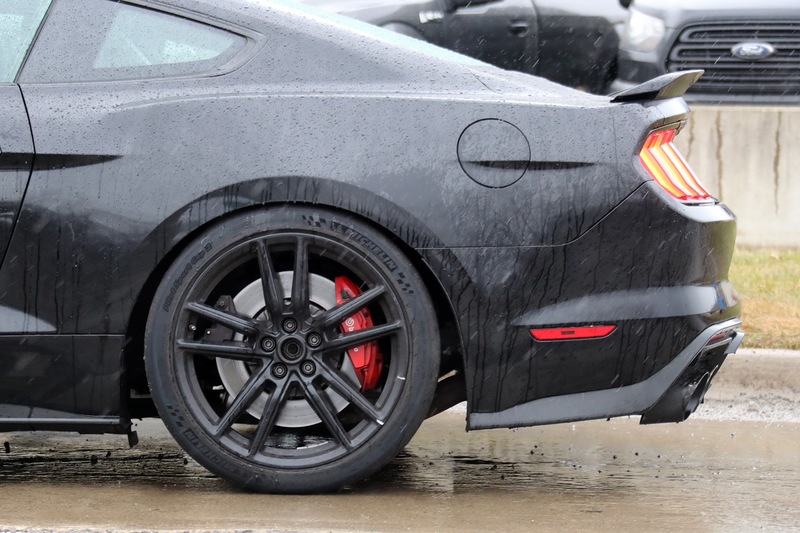 The longitudinal-engine, rear-drive architecture is currently used exclusively on the Mustang. 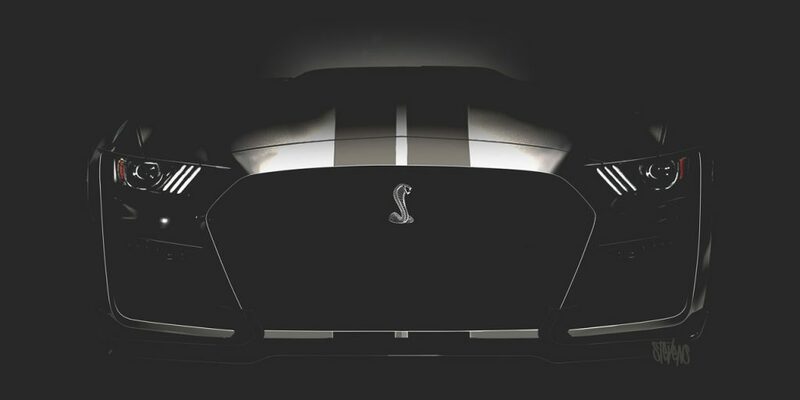 The 2020 Mustang Shelby GT500 is expected to be powered by a supercharged flat-plane-crank V8 making over 700 horsepower. 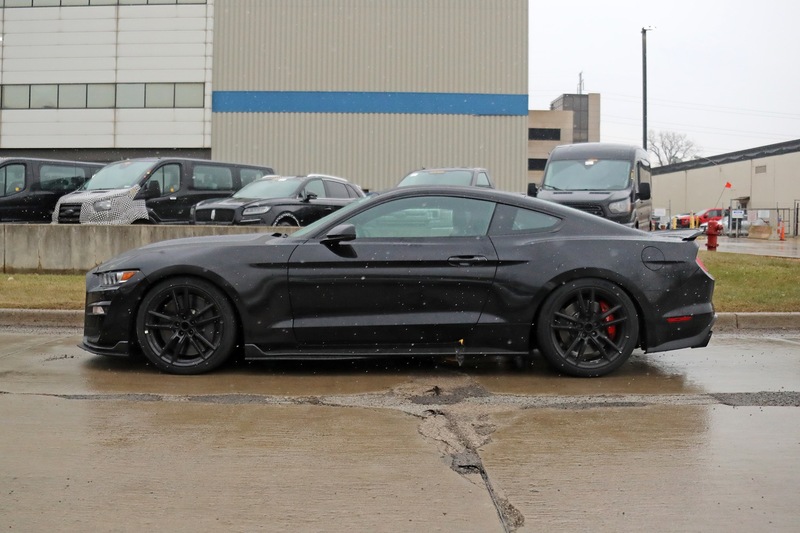 Power will be sent to the rear wheels via a choice of a direct-shift transmission or a 6-speed manual gearbox. 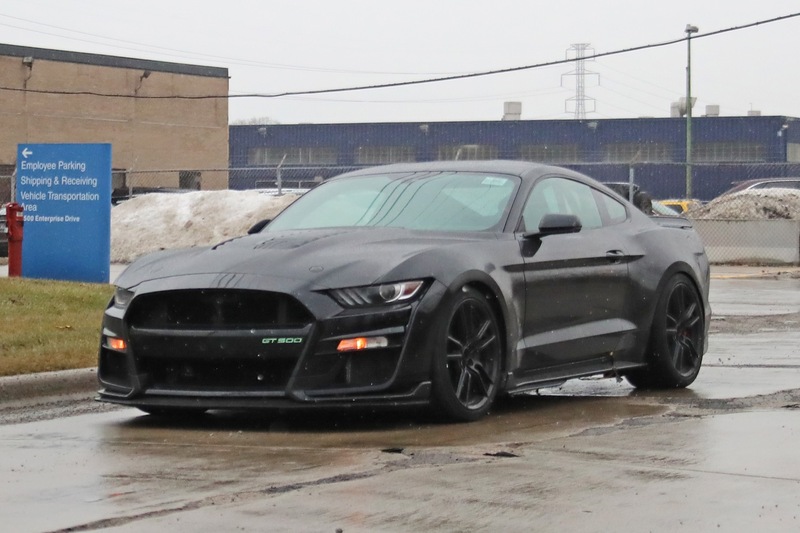 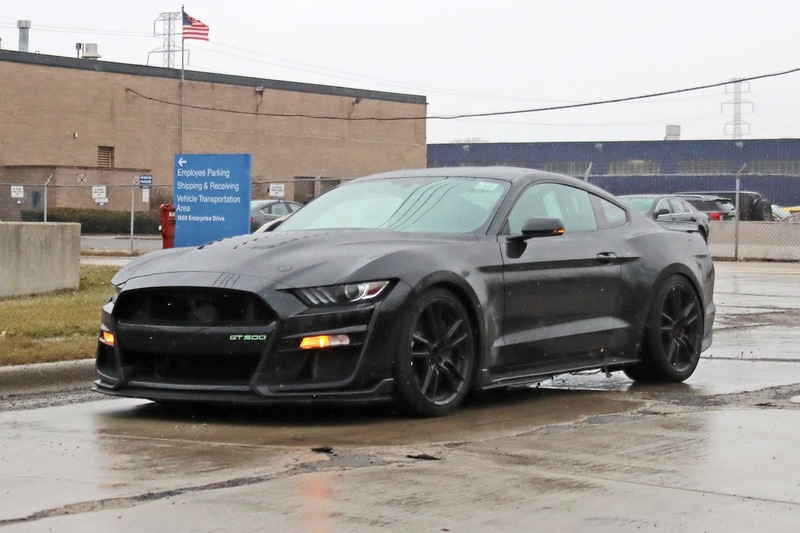 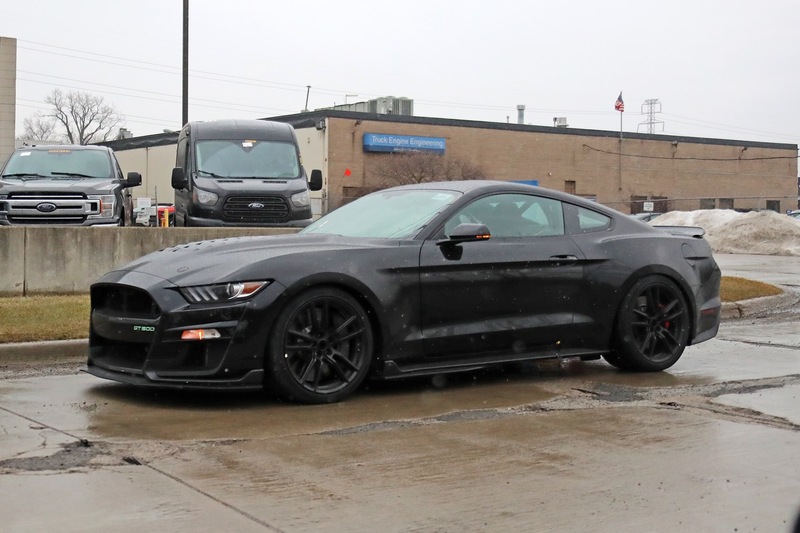 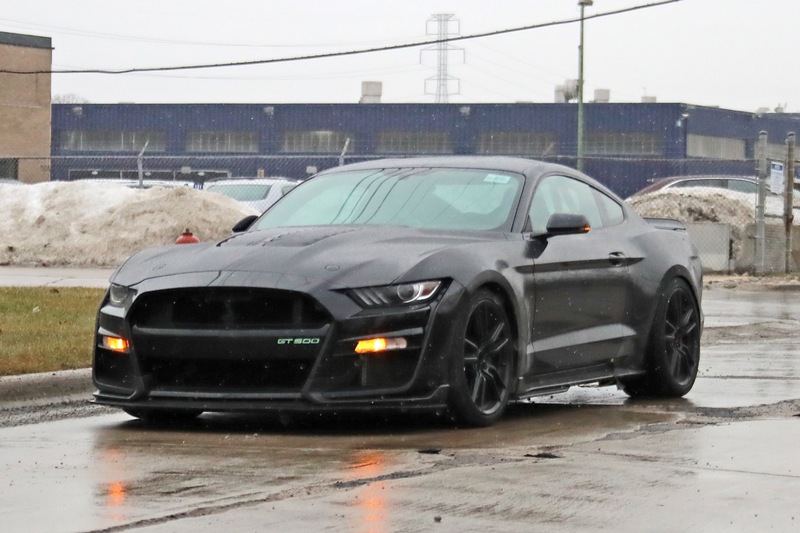 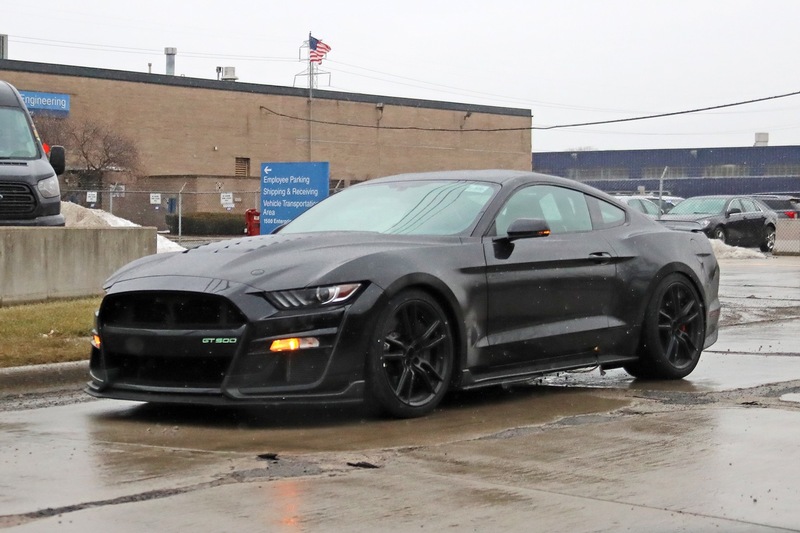 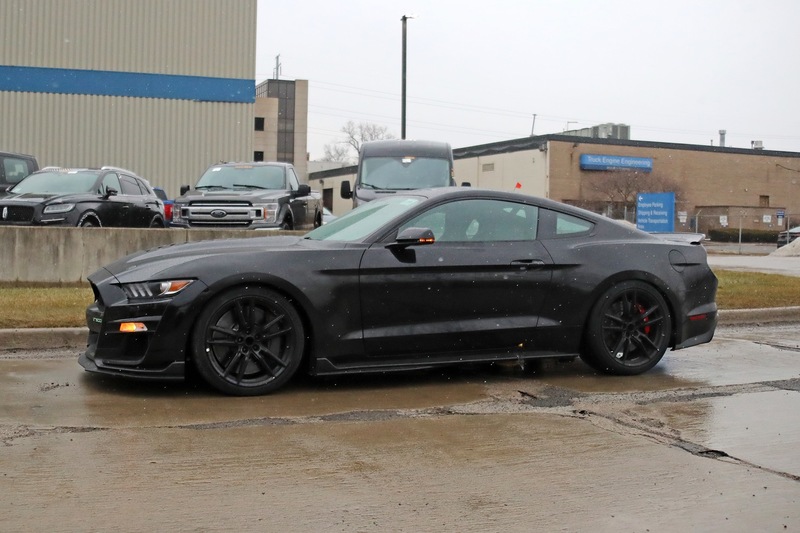 The 2020 Ford Mustang Shelby GT500 will be assembled by Ford USA at the Ford Flat Rock factory in Michigan. 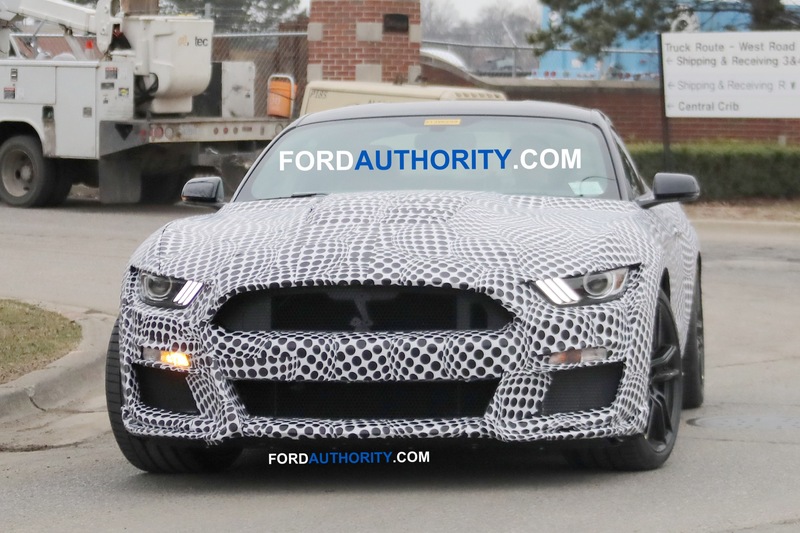 The 2020 Ford Mustang Shelby GT500 was initially expected to launch in calendar year 2019 as a 2018 model year vehicle. 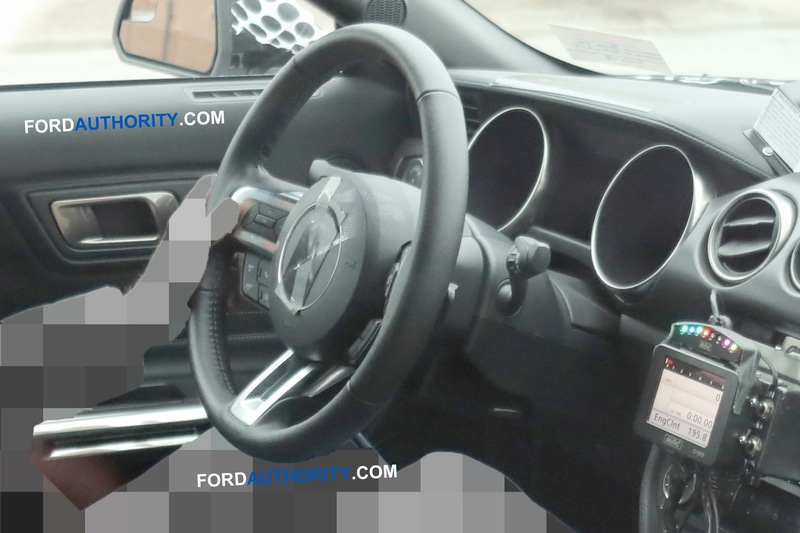 However, new information shows that the vehicle will instead launch as a 2020 model year vehicle in calendar year 2019. 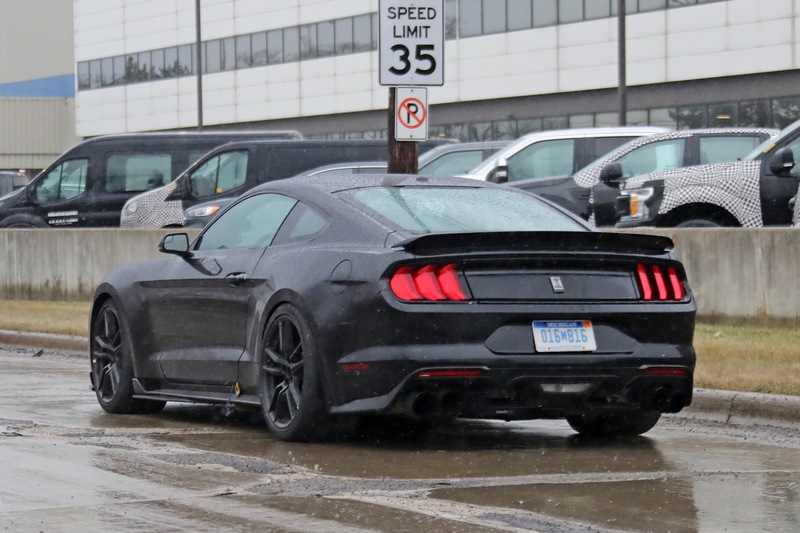 We expect that the Mustang Shelby GT500 based on the sixth-generation Mustang will live on for at least the 2020, 2021, 2022 and 2023 model years. 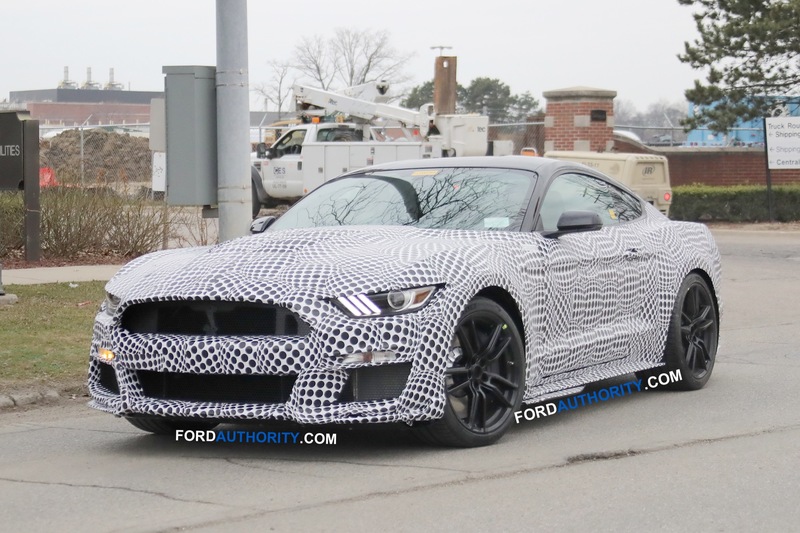 An all-new, future Ford Mustang will launch thereafter, but a Shelby GT500 model will likely join the lineup much later in its lifecycle. 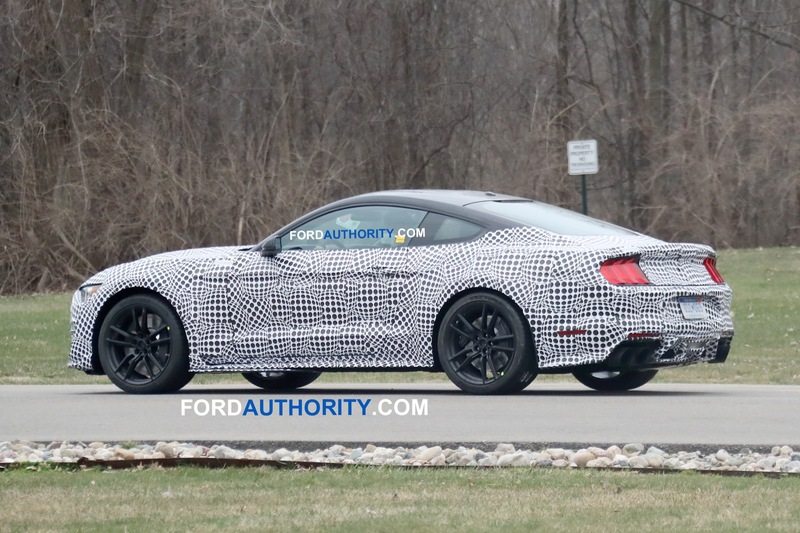 See our running Ford Mustang sales tracker. 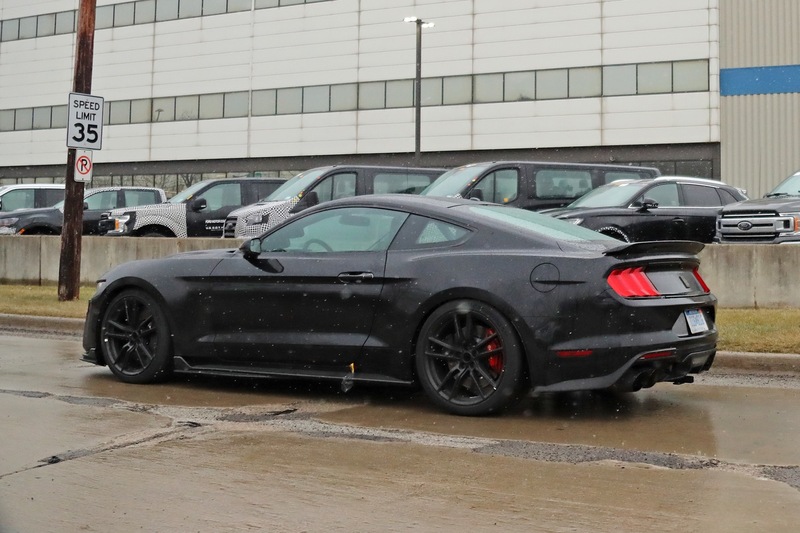 Discuss the 2020 Ford Mustang Shelby GT500 in our Ford forum. 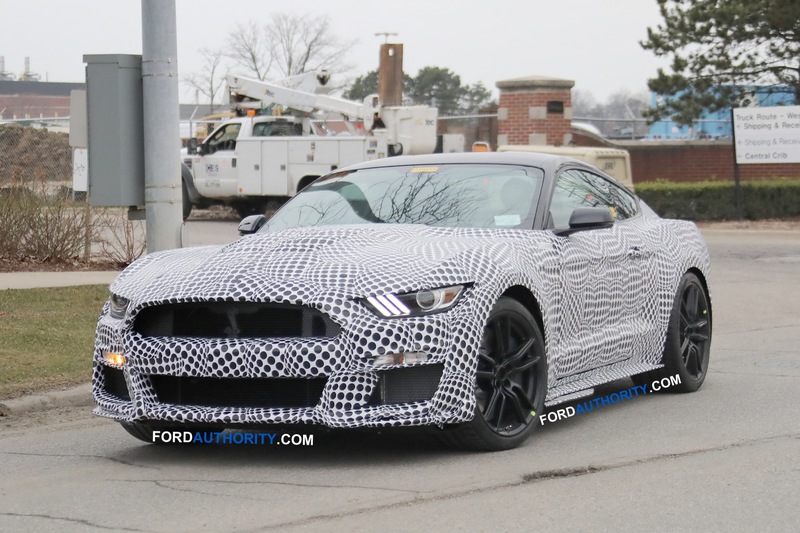 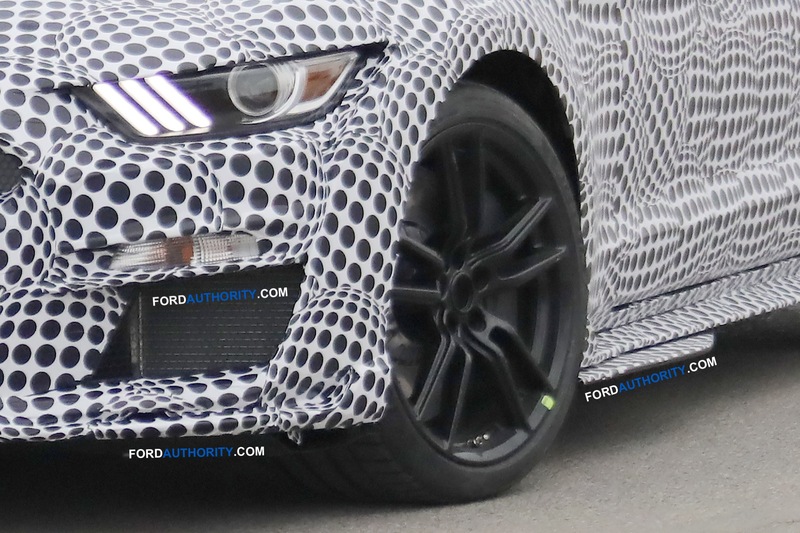 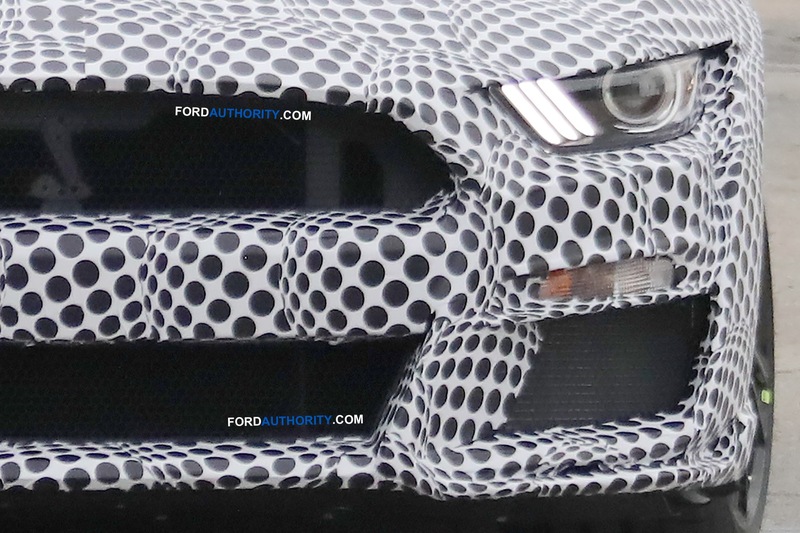 Follow our coverage of Ford Mustang news and Mustang Shelby GT500 news.